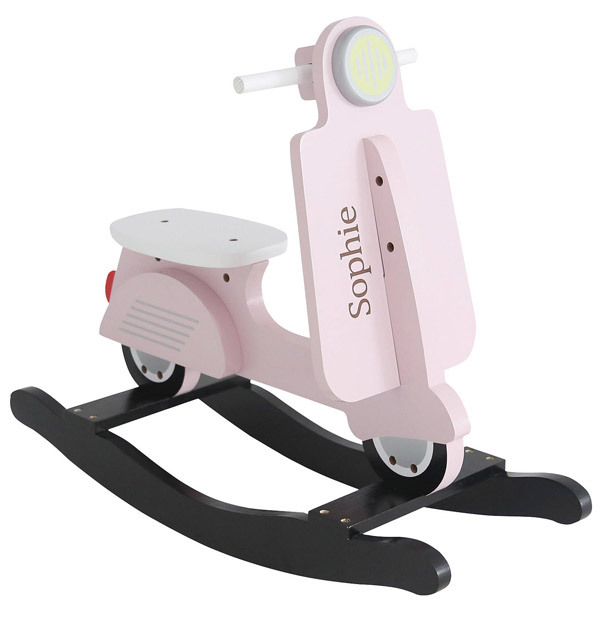 Not a new idea, I spotted the Childwood Rocking Scooter from a European retailer a whole back. But this one is a similar design with the added bonus of being able to personalise it. 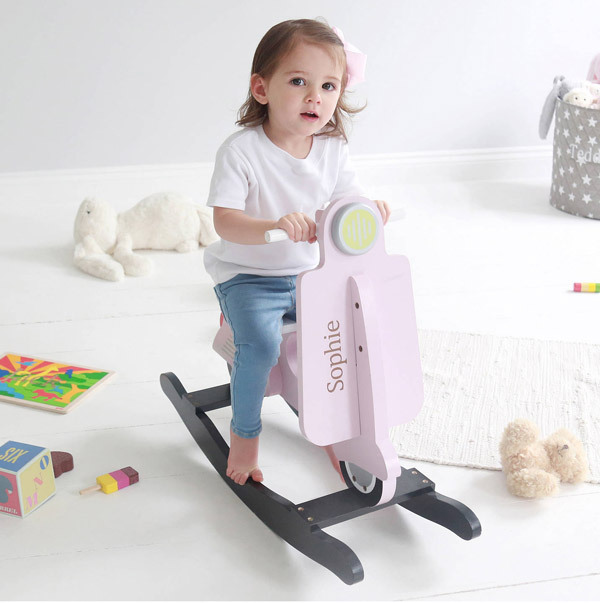 Indeed, you can choose between the blue and the pink for a start, but you can also opt to personalise the scooter with a name as well. Ok, that might limit your potential for selling it on when the little one becomes the slightly bigger one. But it is a nice touch. 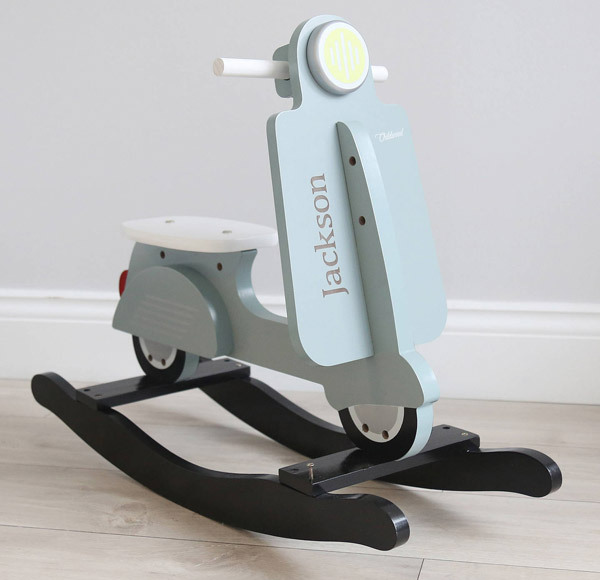 Outside of that, this is a rocking scooter based loosely on a vintage Vespa, doing exactly what you think it does, as well as looking pretty cool in the house.